One thing I have learned about beekeeping so far is that timing is important, and that correct timing varies from place, even within the confines of our single county. As a Coast Range beekeeper, I know I won’t be feeling the August nectar dearth as acutely as folks in other areas of the county. 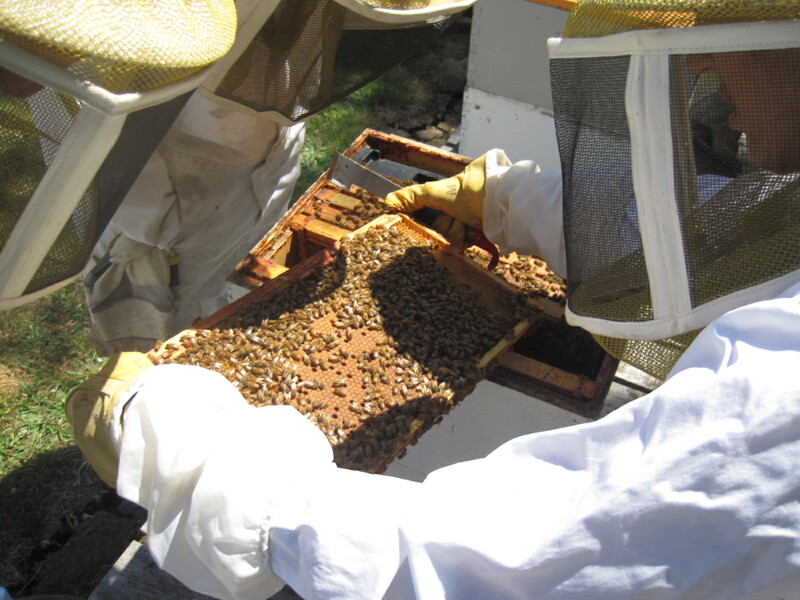 I also tend not to treat for varroa, so my honey harvest lasts into September, long after many folks in town have pulled their honey supers and placed mite treatments. That means August in my yard is mostly about preparing for harvest and assessing the hives with an eye toward winter. After having been away on a trip for nearly three weeks, I have some major hive inspection time ahead of me. What’s going on in your bee yard today? Mite treatments? A crazy good harvest? Ugly yellow jacket problems? Share what you’re up to…someone may have a technique that will save you time on down the road!